­Day 1 : Welcome at the Djanet airport. Departure dby 4x4 to Tiouaîtateren. Day 2 : Oued Essendilene, its guelta in a green ocean at the bottom of a canyon. Day 3 : Dider, its engravings, its guelta. Bivouac in Idaren. 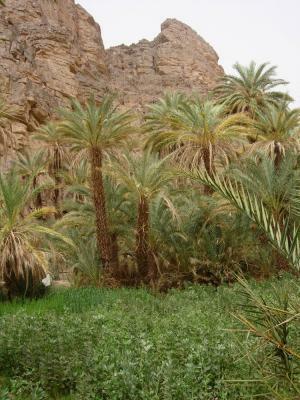 Day 4 : Going down the Oued Idaren to the palm garden of Iherir oasis. Day 5 : The rocks of Tasset. Way back to Erg Admer and Ifafa Tey Hot. Day 6 : Threw the downs of Erg Admer to the Djanet gardens.